Lebanon - Adamson System’s Lebanese distributor, Homsi Music s.a.r.l., recently added two new Energia partners to the Adamson network. CKA s.a.r.l., a long-time supporter of Adamson Systems, added 16 E12 line array enclosures and eight E218 subwoofers to their existing Adamson inventory of Y10, Spektrix and Mextrix line arrays, T21 subs and M-Series stage monitors. "We continue to add to our Adamson inventory as the company grows," explains Chadi Akiki, owner of CKA. "In the beginning we started with the Y10 array and have expanded from there. 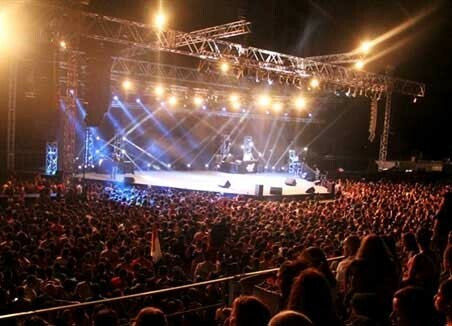 The extensive training that Adamson provides our staff members enables us to deliver high quality performances that have earned us loyalty from bands and event planners in Lebanon and now in the whole Middle East – this has increased our business substantially." Akiki continues: "As a result we decided to expand and increase our Adamson inventory which will reinforce our reputation of providing the very best. The new Energia loudspeakers sound terrific and have the best rigging we have ever dealt with. We are now ready to compete for even bigger projects in the region." CKA is one of Lebanon’s largest sound and lighting companies that supply and operate sound and lighting system for major performing artists as well as festivals, concerts and other events. 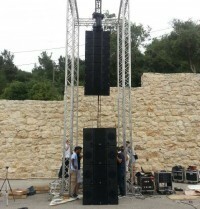 Le Micro, another sound company on the rise in Lebanon also recently took delivery of an Adamson Energia system. They received eight E12 line array enclosures, four E218 subwoofers as well as several M212 stage monitors. "We are very excited to have CKA and Le Micro join the Energia network," adds Fouad Homsi. "It is an amazing product and I am confident it will help both companies grow their business in the Middle East and beyond." In picture: The CKA team taking their new Adamson Energia system for a test drive and using the new system for the NRJ Music tour in Beirut.